Lilly Allen is a 2-3 year old female Cross-Breed. Hey! 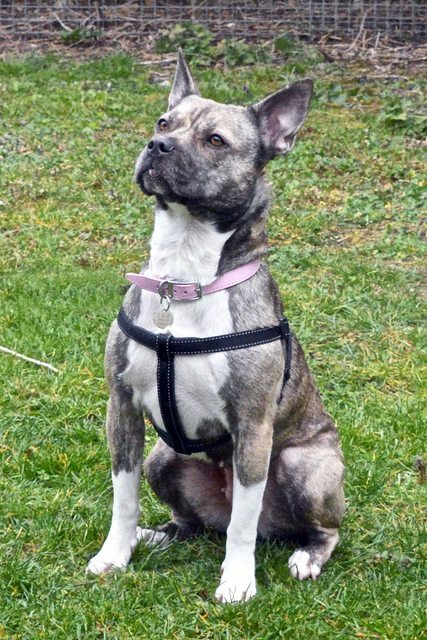 ‘Lilly Allen’, here an affectionate and sweet girl who over time has matured and just needs that occasional confidence boost to push me in the right direction. There’s always ‘The Fear’ when looking for a new home. I work hard to please and love my fuss and pampering. Play time is the best when I can relax and un around with my toys. An active soul I always have a ‘Smile’ on my face and on the park it maybe ‘Lily Allen and Friends’ but I want to be the only pet within my new home. Experienced teenage children would be great who I can run around and play with and I love my food so be careful where you leave those goodies.